German enterprise FFG Flensburger Fahrzeugbau Gesellschaft mbH won the call to tender organised by the NATO Support Agency (NSPA) and upgraded 22 M577 armoured personnel carriers of the Lithuanian Armed Forces. The upgraded M577s will be used for command and control of the PzH2000 howitzers of the Lithuanian Armed Forces. After being awarded the contract the German enterprise hired Lithuanian enterprise UAB Autokurtas to complete part of the work. «The main work of upgrading the armoured personnel carriers was carried out on Lithuania, therefore part of the resources used to upgrade M577s was received by a Lithuanian enterprise», Director of the Defence Materiel Agency under the Ministry of National Defence Sigitas Dzekunskas said. By agreement of the companies, the German enterprise gave the Lithuanian enterprise the maintenance technology needed to carry out the work in our country. According to Alexander Erichsen representing FFG Flensburger Fahrzeugbau Gesellschaft mbH, it was the first time the industrial M577/M113 armoured personnel carrier maintenance technology was used in Lithuania. 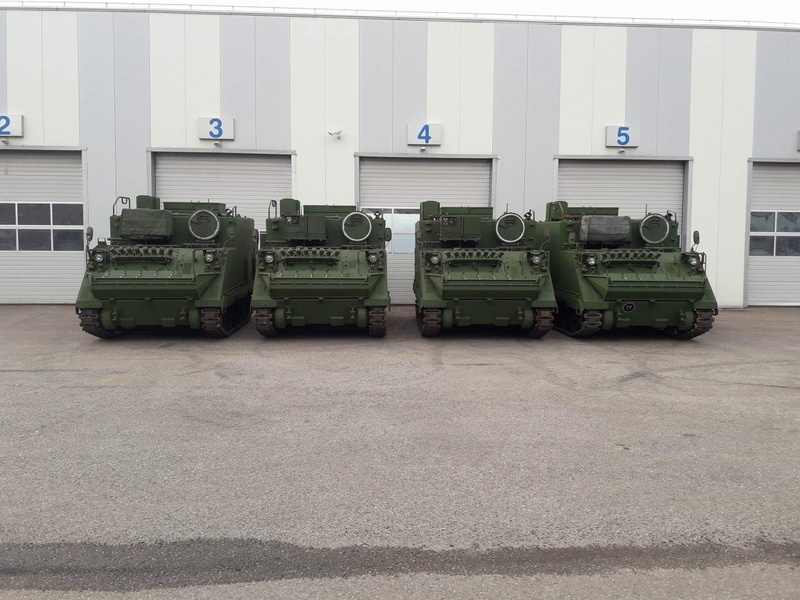 All the 22 upgraded M577 armoured personnel carriers are planned to be transferred to the General Romualdas Giedraitis Artillery Battalion based in Rukla in 2019. The total value of the upgrading contract amounts to roughly Eur 1.5 million. Later a new command and control system will be integrated. Seeking to strengthen fire support and lacking armoured personnel carrier capabilities the Lithuanian Armed Forces procured over 180 M577 armoured personnel carriers in good condition for command, indirect fire support, medical evacuation and training purposes from the German Armed Forces, alongside 21 PzH2000 howitzers and 10 BPZ2 armoured recovery vehicles, in 2015-2016.